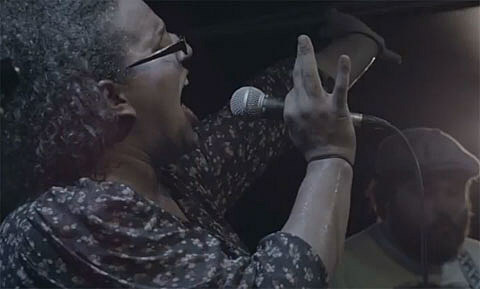 Last month (on 9/11), as you may remember, the Alabama Shakes played an intimate, free ‘Dream Show’ at Subterranean, courtesy of American Family Insurance. 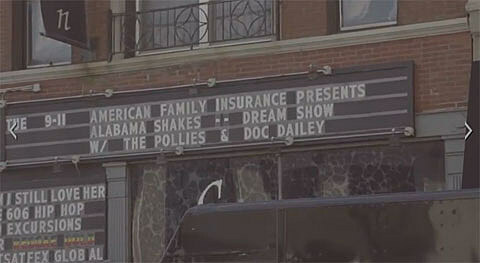 The show, curated by the Alabama band (their “dream” lineup), was with fellow Alabama-based groups The Pollies and Doc Dailey. Did you get in? If so, how early did you get in line to receive a wristband? Either way, you already saw some pictures from that show. Now we’ve got a few videos as well. The first one sees the band driving into Chicago, unloading their gear, and performing “I Ain’t the Same.” In a brief interview before they play the song, frontwoman Brittany Howard speaks about how hard it is for an Alabama band to make it out of the area, and how grateful she is that they’ve been able to do it. She goes on to say that the catalyst for their success was when the Drive-By Truckers‘ Patterson Hood invited the Shakes to tour with them. As mentioned, Alabama Shakes are coming back to Chicago on December 1 to play a sold-out show at the Riv with Doc Dailey & Magnolia Devil. Here;s their full tour schedule.